Can the Police Search Your Home Without a Warrant in New York? | Raw Law | Law Offices of Adam M. Thompson, P.C. Imagine that you are sitting at home on a Saturday night with your family and the doorbell rings. You look outside and see several police officers on your front door step. When you open the door and speak to them they tell you they wish to search your home. No explanation is given for why they wish to conduct a search and no warrant is produced. What do you do? Can the police search your home without a warrant in New York? " While this scenario may seem unlikely to you, it could occur. Only an experienced New York criminal defense attorney can provide you with specific advice as it relates to your unique situation; however, it may be beneficial to have at least a general understanding of your Fourth Amendment rights. Emergency – this applies when a police officer believes someone's life is in imminent danger. For instance, if an officer arrives at your home and hears someone screaming for help, the officer may be allowed to enter your home and search it without waiting for a warrant. Plain View – this covers situations where you answer the door and the police officer can see, in plain view, a kilo of cocaine sitting on the kitchen table just a few feet inside the house. 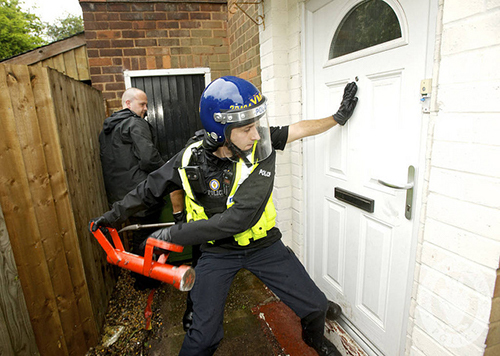 Incident to Arrest – if the police are allowed to enter the home to make a lawful arrest a search of the area under the arrestee's immediate control made be conducted for the officer's safety. Consent – without a doubt the most commonly used exception is consent. If you consent to a search of your home the police do not need a warrant. Always make the police do their job by forcing them to obtain a warrant unless you speak to an experienced New York criminal defense attorney first. If you have been charged with a criminal offense in the State of New York it is important that you consult with an experienced New York criminal defense attorney right away to evaluate your case and get started on your defense. Contact the Law Offices of Adam Thompson today by calling 855-497-2326 to schedule your appointment.